Sell My House Without an Agent in Fresno Why Sell to an Investor? Are you thinking “what is the best way to sell my house without an agent in Fresno“? Following tradition is not always the best choice. Selling with a real estate agent will work for many house sellers but sometimes you have to think outside the box. Keep in mind that investors will often be the best choice when you are selling your house in Fresno because they often have the cash on hand to purchase fast. When you sell through an agent, you run the risk of the buyer backing out of the deal at the last minute or losing time during the deal-making process. Investors buy with cash and they can close the deal fast, saving you both time and money. If you are ready to sell your house but you don’t want to go through a real estate agent, you may want to consider finding an investor instead to sell your house. If you are ready to take action, call (559) 408-5977 to find out more about how you can take advantage of this option. Contact a real estate investor in CA and start the process today. 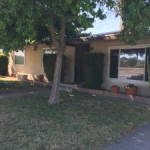 Contact an investor in Fresno at (559) 408-5977 for more information. What have you got to lose?